Bridges are troublesome things; they cost money to build and will fail if not maintained. Some bridges generate controversy, such as the Bridge to Nowhere in Alaska that was to connect Ketchikan to an island where its airport is located, replacing a ferry-boat. In war, rivers form natural defensive lines and bridges across them are natural choke points for advances and retreats. An example of that was the Bridge Too Far in WW2 where the Allies tried to advance too far, too quickly and were halted by the German defenders. 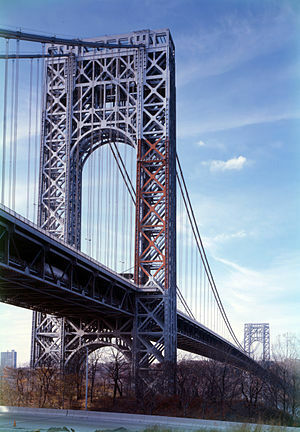 The George Washington Bridge between New Jersey and New York is the latest bridge to make the news. Someone ordered two lanes of traffic on the New Jersey side closed for four days, apparently to punish the residents of Fort Lee, New Jersey, whose Democratic mayor failed to endorse Chris Christie‘s re-election bid. At this time, everyone is denying responsibility, but I expect that the forthcoming investigation will identify a culprit, who will then apologize. 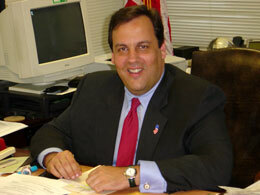 It may be that a Christie aide took his boss’s jest for a suggestion to act. Just as Henry 2 of England’s exasperation with the Archbishop of Canterbury led to Thomas à Becket‘s death. Pope Alexander 3 threatened to excommunicate Henry if he did not repent. Expert testimony is that 10,000s of US bridges are badly in need of maintenance and Barack Obama has asked congress to fund a modest start. Why won’t Congress authorize needed repairs? Because bridge maintenance will generate many jobs and make the President look good. The GOP want to defer job creation until after the 2016 election which they hope to win. In the meantime, many without jobs will remain unemployed, and motorists and others risk life and limb every time they cross a bridge. 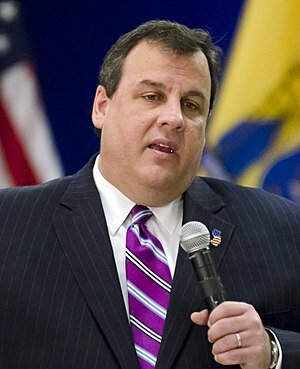 Chris Christie spent $24 million taxpayer dollars to hold a special election in New Jersey that recently elected Cory Booker to the US Senate. Ted Cruz led a government shutdown that cost the economy $24 billion, one thousand times the amount wasted by Christie. At the same time the GOP are moaning about the national debt, the GOP are wasting taxpayer money on schemes they support. And who do they stick with the bill? The 99% who are asked to embrace austerity. The 1% refuse to pay their fair share. 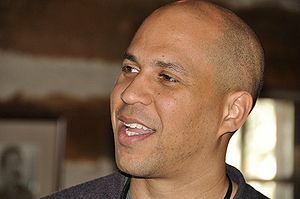 Cory Booker, the high-profile mayor of Newark, New Jersey, intends to live on a food-stamp budget for one week to demonstrate how difficult it is to do. I wish him well, I am looking forward to his reaction and report on the experience. I wish that every critic of food stamps and hunger in America would take a food-stamp challenge before uttering any criticism. As I watch the well-fed pundits and politicians on TV, I know that none of them are hungry.